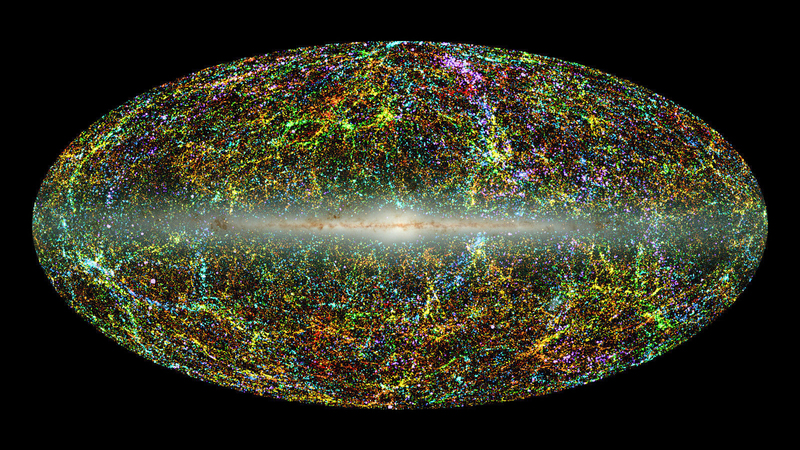 between cosmic inflation and alternative theories of the universe’s birth. The leading hypothesis about the universe’s birth — that a quantum speck of space became energized and inflated in a split second, creating a baby cosmos — solves many puzzles and fits all observations to date. Yet this “cosmic inflation” hypothesis lacks definitive proof. Telltale ripples that should have formed in the inflating spatial fabric, known as primordial gravitational waves, haven’t been detected in the geometry of the universe by the world’s most sensitive telescopes. Their absence has fueled underdog theories of cosmogenesis in recent years. And yet cosmic inflation is wriggly. In many variants of the idea, the sought-after ripples would simply be too weak to observe. In a new paper that appeared on the physics preprint site, arxiv.org, on Sunday, Loeb and two Harvard colleagues, Xingang Chen and Zhong-Zhi Xianyu, suggested such a guillotine. The researchers predicted an oscillatory pattern in the distribution of matter throughout the cosmos that, if detected, could distinguish between inflation and alternative scenarios — particularly the hypothesis that the Big Bang was actually a bounce preceded by a long period of contraction. “If the signal is real and observable, it would be very interesting,” Sean Carroll of the California Institute of Technology said in an email. 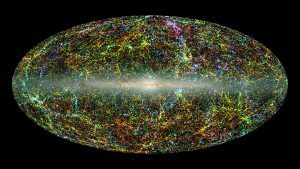 Any potential hints about the Big Bang are worth looking for, but the main question, according to experts, is whether the putative oscillatory pattern will be strong enough to detect. It might not be a clear-cut guillotine as advertised.If it does exist, the signal would appear in density variations across the universe. Imagine taking a giant ice cream scoop to the sky and counting how many galaxies wind up inside. Do this many times all over the cosmos, and you’ll find that the number of scooped-up galaxies will vary above or below some average. Now increase the size of your scoop. When scooping larger volumes of universe, you might find that the number of captured galaxies now varies more extremely than before. As you use progressively larger scoops, according to Chen, Loeb and Xianyu’s calculations, the amplitude of matter density variations should oscillate between more and less extreme as you move up the scales. “What we showed,” Loeb explained, is that from the form of these oscillations, “you can tell if the universe was expanding or contracting when the density perturbations were produced” — reflecting an inflationary or bounce cosmology, respectively. Regardless of which theory of cosmogenesis is correct, cosmologists believe that the density variations observed throughout the cosmos today were almost certainly seeded by random ripples in quantum fields that existed long ago. Because of quantum uncertainty, any quantum field that filled the primordial universe would have fluctuated with ripples of all different wavelengths. Periodically, waves of a certain wavelength would have constructively interfered, forming peaks — or equivalently, concentrations of particles. These concentrations later grew into the matter density variations seen on different scales in the cosmos today. But what caused the peaks at a particular wavelength to get frozen into the universe when they did? According to the new paper, the timing depended on whether the peaks formed while the universe was exponentially expanding, as in inflation models, or while it was slowly contracting, as in bounce models. If the universe contracted in the lead-up to a bounce, ripples in the quantum fields would have been squeezed. At some point the observable universe would have contracted to a size smaller than ripples of a certain wavelength, like a violin whose resonant cavity is too small to produce the sounds of a cello. When the too-large ripples disappeared, whatever peaks, or concentrations of particles, existed at that scale at that moment would have been “frozen” into the universe. As the observable universe shrank further, ripples at progressively smaller and smaller scales would have vanished, freezing in as density variations. Ripples of some sizes might have been constructively interfering at the critical moment, producing peak density variations on that scale, whereas slightly shorter ripples that disappeared a moment later might have frozen out of phase. These are the oscillations between high and low density variations that Chen, Loeb and Xianyu argue should theoretically show up as you change the size of your galaxy ice cream scoop. These oscillations would also arise if instead the universe experienced a period of rapid inflation. In that case, as it grew bigger and bigger, it would have been able to fit quantum ripples with ever larger wavelengths. Density variations would have been imprinted on the universe at each scale at the moment that ripples of that size were able to form.The authors argue that a qualitative difference between the forms of oscillations in the two scenarios will reveal which one occurred. In both cases, it was as if the quantum field put tick marks on a piece of tape as it rushed past — representing the expanding or contracting universe. If space were expanding exponentially, as in inflation, the tick marks imprinted on the universe by the field would have grown farther and farther apart. If the universe contracted, the tick marks should have become closer and closer together as a function of scale. Thus Chen, Loeb and Xianyu argue that the changing separation between the peaks in density variations as a function of scale should reveal the universe’s evolutionary history. 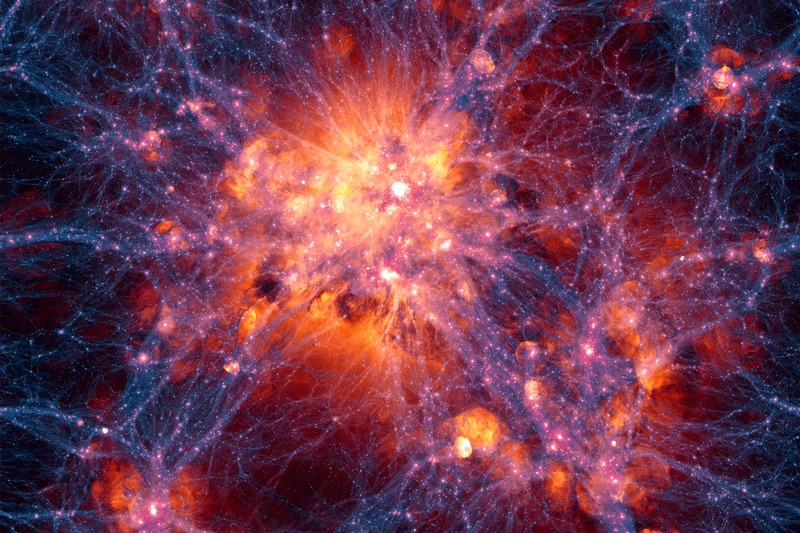 “We can finally see whether the primordial universe was actually expanding or contracting, and whether it did it inflationarily fast or extremely slowly,” Chen said. 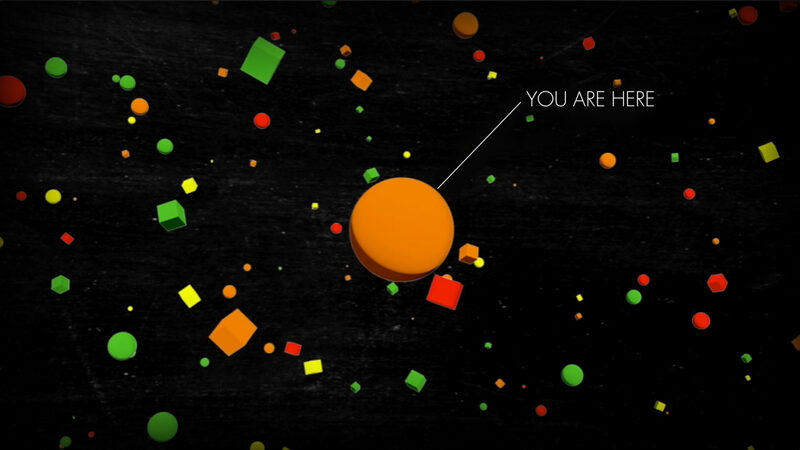 Video: David Kaplan explores the leading cosmological explanation for the origin of the universe. Filming by Petr Stepanek. Editing and motion graphics by MK12. Music by Pete Calandra and Scott P. Schreer. 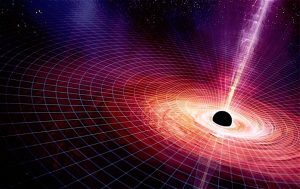 The concept of matter in SCIET Dynamics is related to the formatting of space at the time of the FIRST ACTION, a moment when massive burst of energy was distributed throughout space, in fact this burst defined SPACE and its definition was made of the energy of the original burst. Matter was created from this, and so the remaining energy is the missing matter. SPACETIME has Mass.